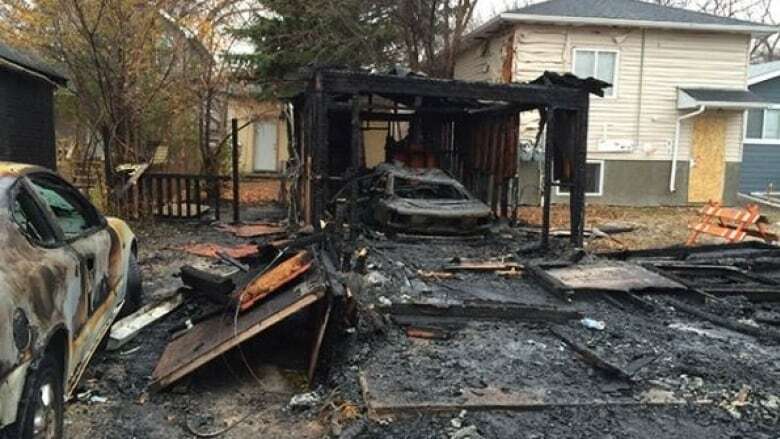 Arson behaviour in children may be commonly associated with incidents like setting fires in garbage cans, but the City of Regina experienced extreme property destruction that required a concerted community effort to solve. When Angela Prawzick and Candace Giblett heard about kids in Regina's inner city deliberately setting fires with gasoline, it sparked a nerve with the two public education officers. "We have children that are putting themselves at risk, significantly at risk, and also potentially putting other people in the community at risk," said Prawzick, with Regina Fire and Protective Services. "That really got us moving, because children using gasoline is very unusual, certainly in my experience." A few years ago, the fire department saw cases of fire-setting escalate, with 12-year-olds and children even younger lighting fires in dumpsters, garages and vacant homes. The fire-setting reached a peak in 2015, Prawzick said. But she says a community-driven approach, with fire services working hand-in-hand with partners, has brought the fires set by children to record lows. 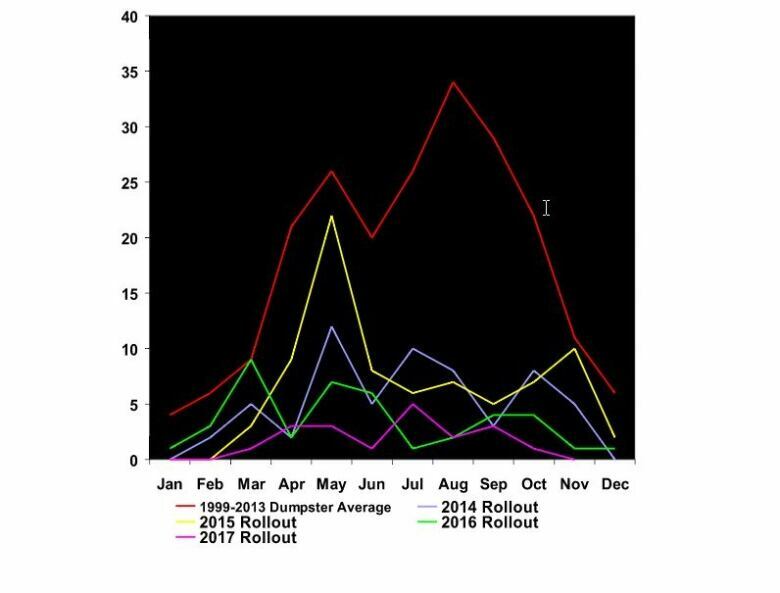 "We're seeing the benefit of 10 to 12 years of work, where the numbers are going down of kids setting fires and garbage fires," agrees Giblett. "We're seeing the numbers go down and stay down." In October of 2014, crews responded to a fire set in a vacant home, with an investigation showing it had been deliberately set. The fire investigator learned that children were seen running away from the home just before the fire was called in. Prawzick and Giblett began working with the schools in the neighbourhood to identify the children who may have been involved. While they began this process, other children started coming forward, offering consistent details on the same story — that they knew of a group of boys who were deliberately setting fires using gasoline. With bits and pieces of information flowing in from different sources, Giblett suggested sitting down at one table with different groups, including police, school staff, Kids First Regina, and other partners, as part of the Keeping our Community Safe coalition to stop the problem. "At the same time that was happening, the fire-setting was escalating. There were garbage fires that escalated to garage fires, escalated to a house fire, and culminated in a fire set in house with family still inside," Prawzick said. The latter incident, in the spring of 2015, saw a family with young children, including one infant, narrowly escape the blaze that would destroy their North Central home. Working with their partners, the fire department managed to identify the group of children involved in setting a number of fires. The oldest child involved, a 12-year-old, was charged with arson. The coalition recognized, though, that this child, along with the other younger children involved, needed more support to address the reasons they were turning to this type of behaviour. Police helped enforce a curfew for the children, while social services came on board to offer intensive support to one of the families, which was dealing with several personal issues, said Giblett. Getting the kids involved in activities, providing the families with parenting support, and educating the children on fire safety were all part of the services rolled out. Now, when children are found to be involved in setting a fire, it triggers this multi-pronged approach, she says. Sometimes, parents may ask questions about how long they may have to go through a program, but the public education officers say that depends on a family's individual circumstances. "It's not a quick process. You could be working with these families for six months, a year, 18 months … because the issues that led them into that behaviour don't go away in a week," said Giblett. Problems ebb and flow, and other crises might pop up, but the coalition has focused on giving the families the tools they need to make better decisions, or get support and help from people they trust, she says. 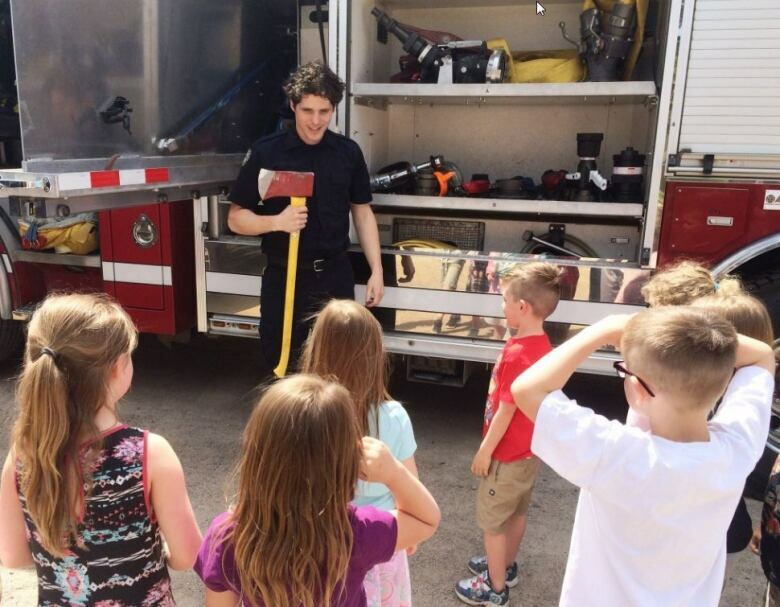 Along with intervening when kids need help, the fire department also runs its education programs, in North Central area schools and also across the city. Part of that education involves firefighters talking to kids about real incidents, how investigations work, how they identify children involved, and what happens in arson cases involving youth — which seems to have an impact on kids, says Prawzick. "It was credible. They could see their own community and the kids that they know, so they knew when we talked about consequences, we weren't kidding." The intervention work, along with all of the education and prevention programs, seems to be paying off, with Giblett and Prawzick writing a recent blog about the experience. The success in curbing what was a troubling trend in Regina's inner city speaks to what can be achieved through partnerships, Giblett says. "I can't express enough how individuals aren't going to make the difference we're looking for. Communities make the difference — working together, that's what makes the difference."